A weld neck flange is a type of steel flange designed to transfer stresses to the pipe to reduce high stress concentrations at the base of the flange. 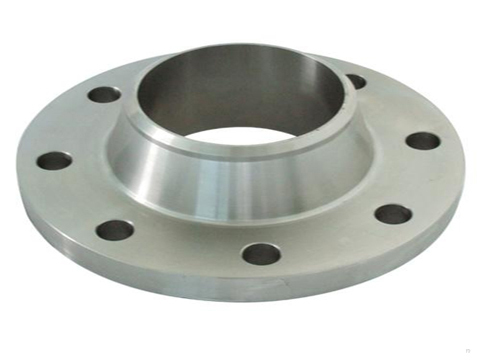 Compared with other types,weld neck flanges are know for their tapered hub and gentle transition from flange thickness to pipe wall thickness. They are deformation-resistant, and are normally used for high pressure piping system, high or low temperature conditions. America Series:Class 150 ,Class 300, Class 600, Class 900A ,Class 1500,Class 2500. Carbon steel: ASTM A105,ASTM A105N,GB 20,C22.8. Low temperature steel: ASTM/ASME A350 LF2. ASME ANSI B16.5,ASME ANSI B16.47. Natural gas,chemical,petroleum,ship building,marine,paper making, metallurgy, electric, power, boiler , etc. America standard: ANSI B16.5,ANSI B16.47,ETC. Europe standard: BS4504/BS 10/UNI 2276 UNI 2277/UNI 2278/ UNI 6089/UNI 6090/EN 1092. We also manufacture other un-standard flanges according to customers’requirements, and some forgings. These products have passed the ISO9000, ISO14001, GB/T28001, and Q/SY1002.1 certification. Due to our high quality and low prices, our products are well received in the global market, in countries such as the USA, Italy, Belgium, Chile, Bolivia, United Arab Emirates, Brazil, South Korea, India and more. For more information, please feel free to contact us!